Because of the importance of powers of attorney to the rights and quality of life of an individual who has become incapable, it is absolutely essential that they be kept up-to-date. A careful review of your powers of attorney should be undertaken every three to five years or after any material life events, such as a marriage or a change in health conditions. Powers of attorney for property and for personal care are some of the most important documents in any estate plan. They determine what happens to an individual's property and who may make decisions about his or her health care, place of living, and more when the grantor is alive, but in need of help. Unfortunately, they may be some of the most contentious documents as well. Powers of attorney may lead to fights that can divide families when they ought to pull together to help their ailing loved one. In Ontario, they are governed by the Substitute Decisions Act, 1992, which sets out the requirements, powers and procedures associated with the documents. 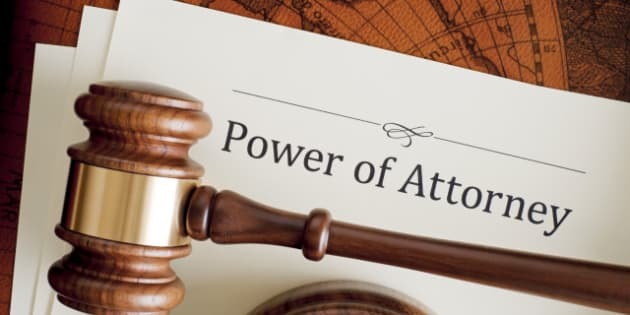 Powers of attorney for property, subject to limitations imposed in the documents themselves, grant the attorney the ability to do anything with the person's property, except to make a new will. With such broad powers over another individual, it is easy to see how the attorney could mismanage the grantor's property or take advantage of the role. If the individual's family does not agree with the actions of the attorney, there are a number of ways in which they might challenge the power of attorney. They can attack the validity of the document by arguing that the grantor did not have the requisite capacity at the time the document was prepared. The tests for capacity to grant powers of attorney for property and personal care are set out in the Substitute Decisions Act at sections 8 and 47, respectively. If the grantor has been manipulated, coerced, or unduly pressured into signing a power of attorney, the validity of the document may be attacked on grounds of undue influence. The actions of an attorney may be challenged as well. An attorney for property may be forced to account for every penny of the grantor's assets from the time that he or she began to act. The accounts can be challenged and subjected to the supervision of the Ontario Superior Court of Justice. Additionally, the Court has the power to set aside a power of attorney and appoint a guardian for property or personal care. Because of the importance of powers of attorney to the rights and quality of life of an individual who has become incapable, it is absolutely essential that they be kept up-to-date. A careful review of your powers of attorney should be undertaken every three to five years or after any material life events, such as a marriage or a change in health conditions. Updated powers of attorney should be part of any overhaul of your estate plan. To avoid problems with powers of attorney, good communication is the most important factor. The named attorney should be consulted before preparing or updating the documents. It is important that he or she is willing to take on the responsibility and is able to act if it becomes necessary. The attorney should be aware of where to find the documents which prove his or her authority, and they should be readily accessible so that he or she will not have trouble getting to them quickly if needed. It may be advisable to have a set of instructions or a list of assets ready to avoid loose ends. An attorney could easily lose track of an account or miss bill payments if not prepared. Ensuring that your attorney stays in the loop and is kept up-to-date will help to ease the transition if he or she ever needs to step in. Communication is also the key to avoiding conflict within the grantor's family. Letting loved ones know your plans and the reasons behind them will help to prevent disagreements and challenges down the road. No grantor wants their family to be conflicted during times of ill health. Naming an attorney requires trusting another person with everything you own and your own wellbeing. By keeping your documents current and making sure that the people you depend on are informed, most problems with powers of attorney can be prevented.